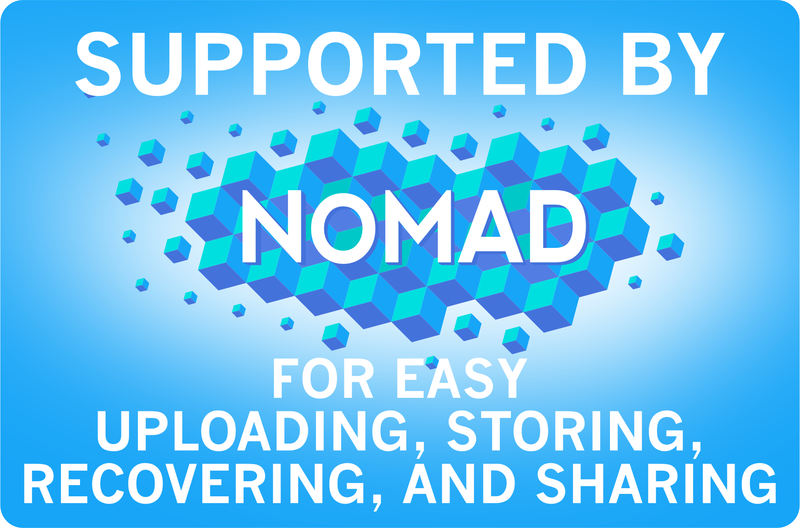 Purpose: In this tutorial you will learn how to set up and execute a series of calculations at different volumes for a cubic crystal. Additionally, it will be explained how to fit the energy-vs-volume curves with polynomial of various degree in order to obtain the corresponding equilibrium volume. DISPLAY (needed for running CHECKFIT-energy-vs-volume.py, only for remote calculations). 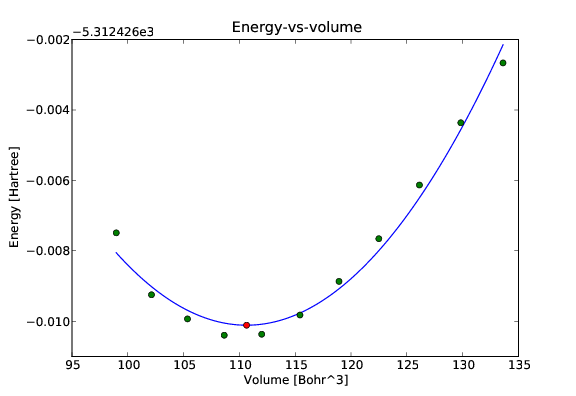 CHECKFIT-energy-vs-volume.py: Python script for fitting the energy-vs-volume curves. Inside this directory, we create (or copy from a previous calculation) the file input.xml corresponding to a SCF calculation at a reference lattice constant for silver. A possible choice for this reference value is the experimental lattice constant of 7.729 [Bohr]. In this example, the (on screen) input entry is preceded by the symbol »». The entry value must be typed on the screen when requested. This entry (in our example 11) is the number of structures which are generated with equally spaced intervals of the lattice constant with a variation of between -5% and +5% from the reference lattice constant. After running the script, a directory called workdir is created, which contains the input files for the different volumes. After the complete run, the results of the calculation for the input file workdir/input.xml-i are contained in the subdirectory workdir/rundir-i where i is running from 01 to the total number of volumes. The data for the energy-vs-volume curve are contained in the file workdir/energy-vs-volume. In this example, the input entry is preceded by the symbol »». The entry values must be typed on the screen when requested. The entry (in our example 2) represents the order of the polynomial for the fit. Calculate the cubic lattice constant at the optimal volume. Choose as a new reference lattice constant a value corresponding to the optimal volume.